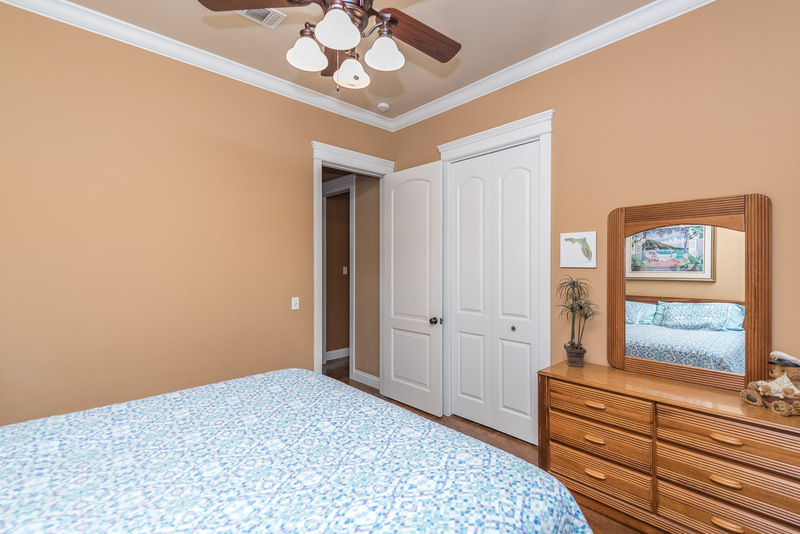 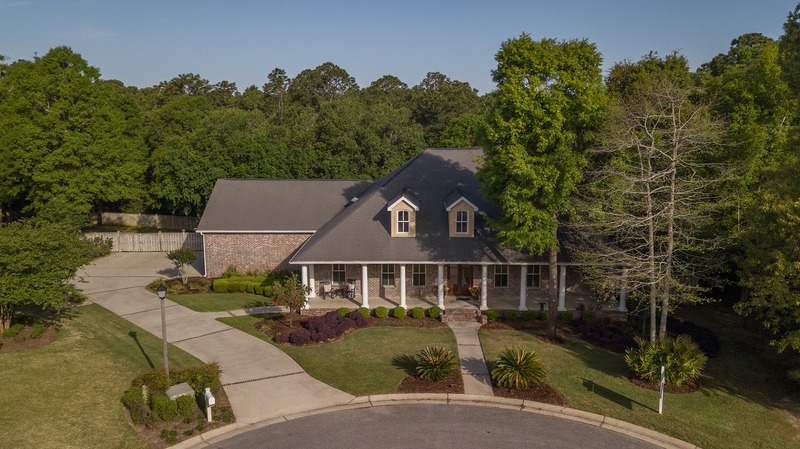 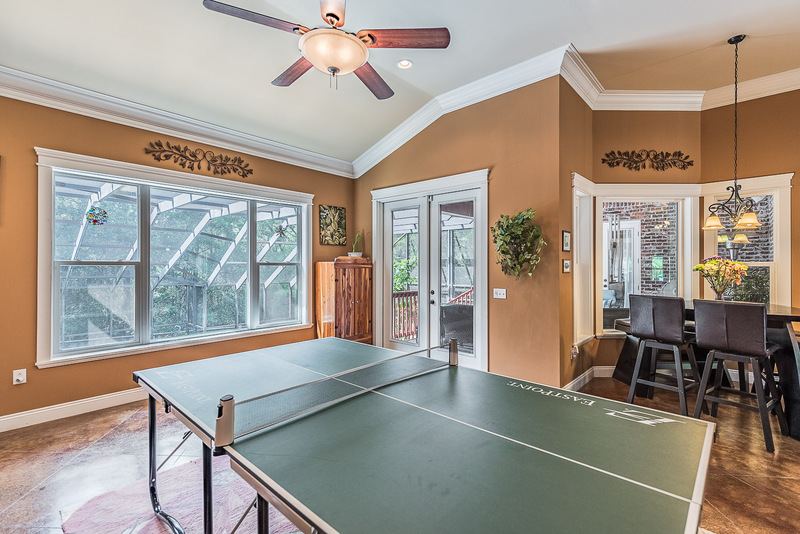 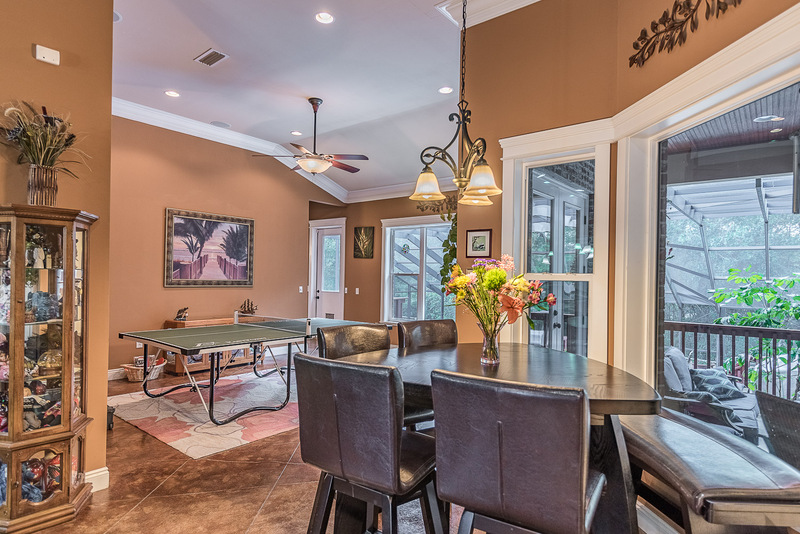 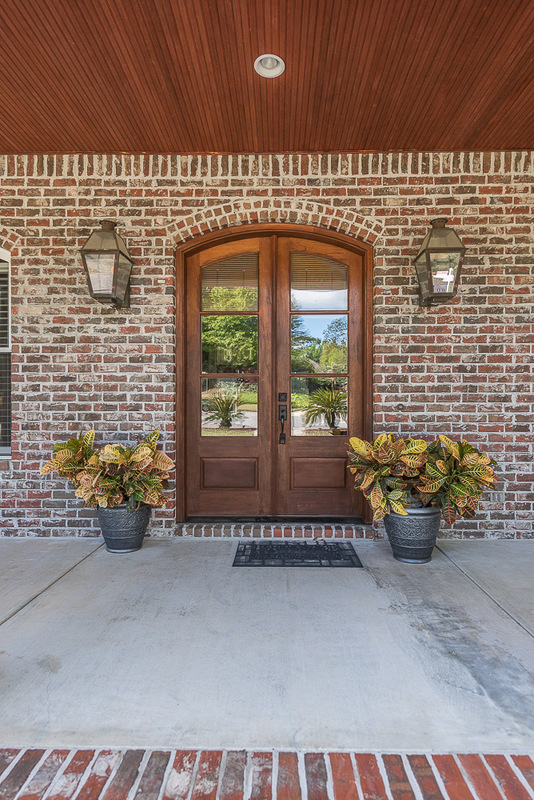 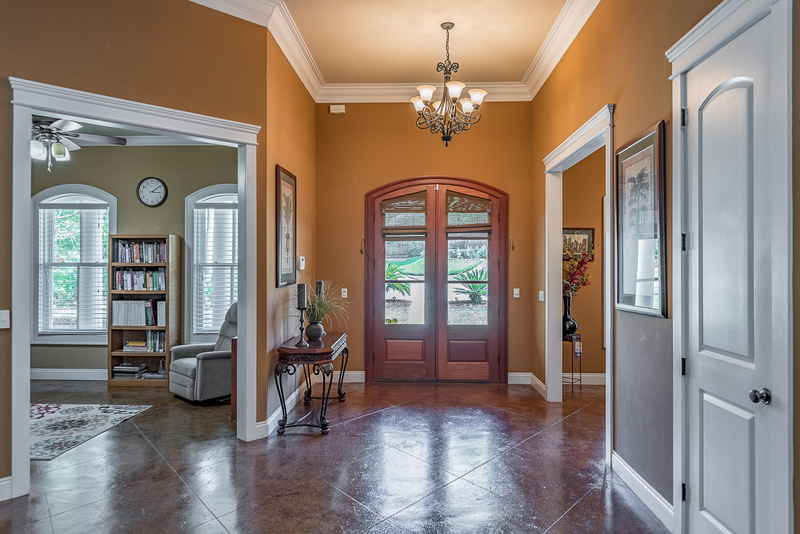 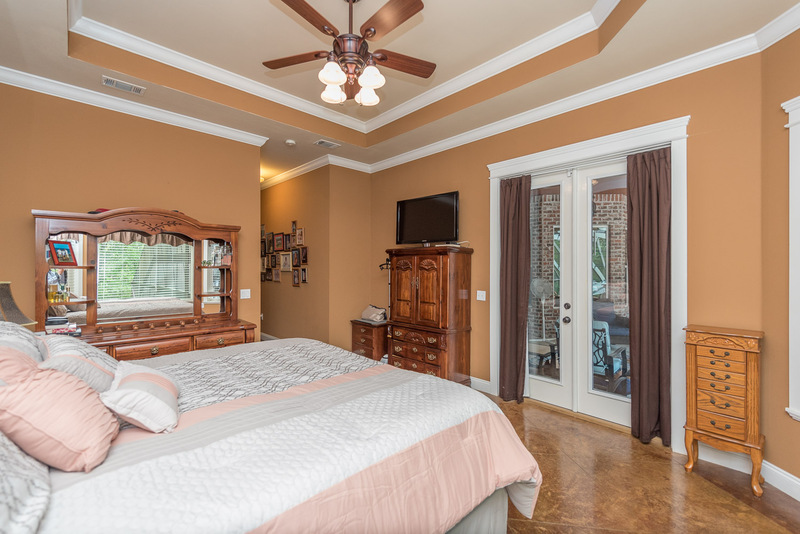 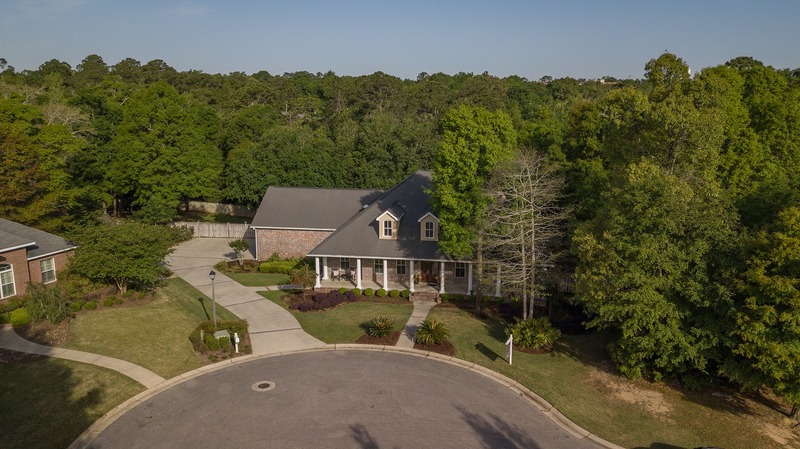 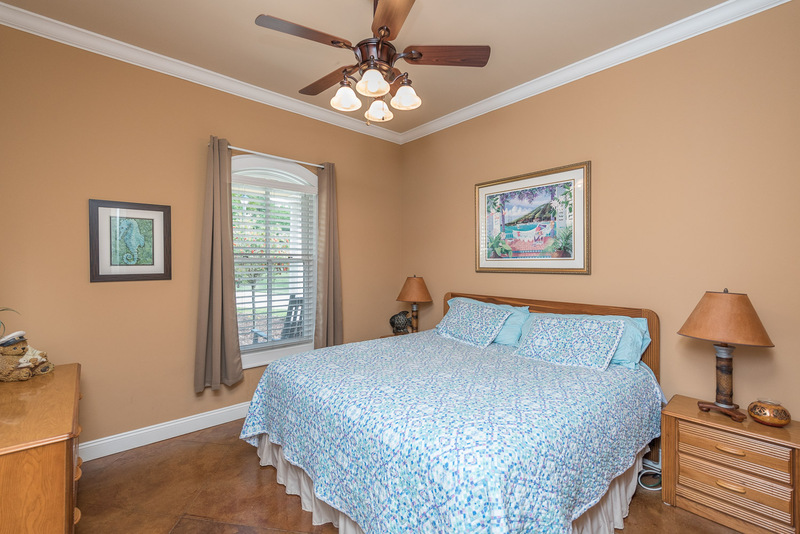 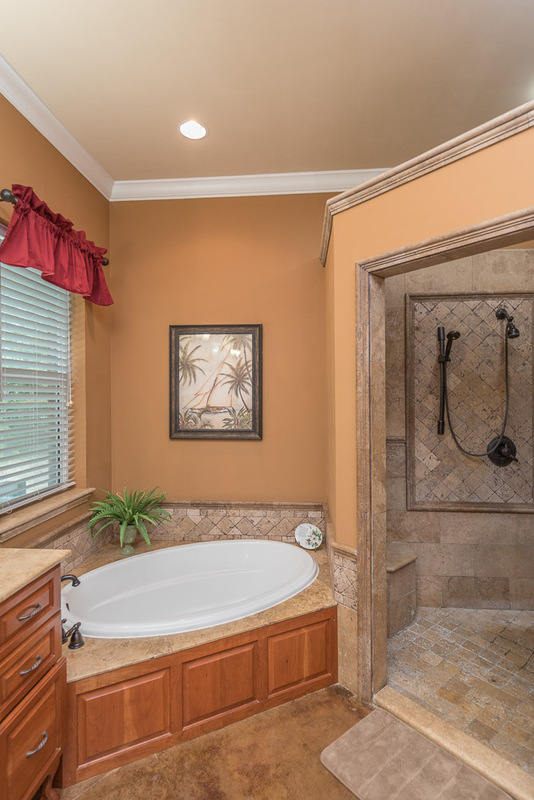 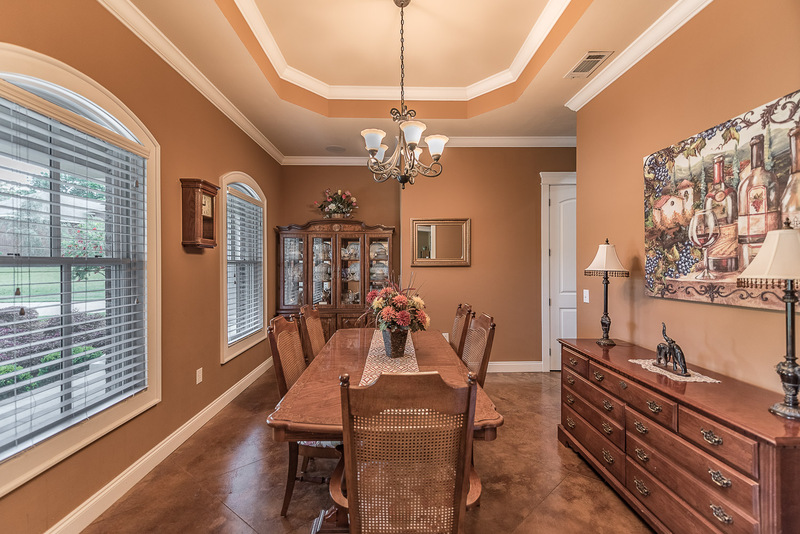 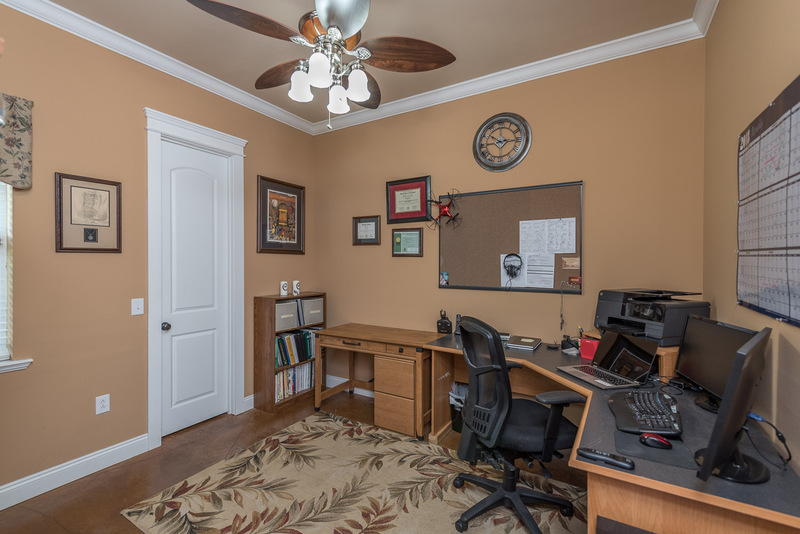 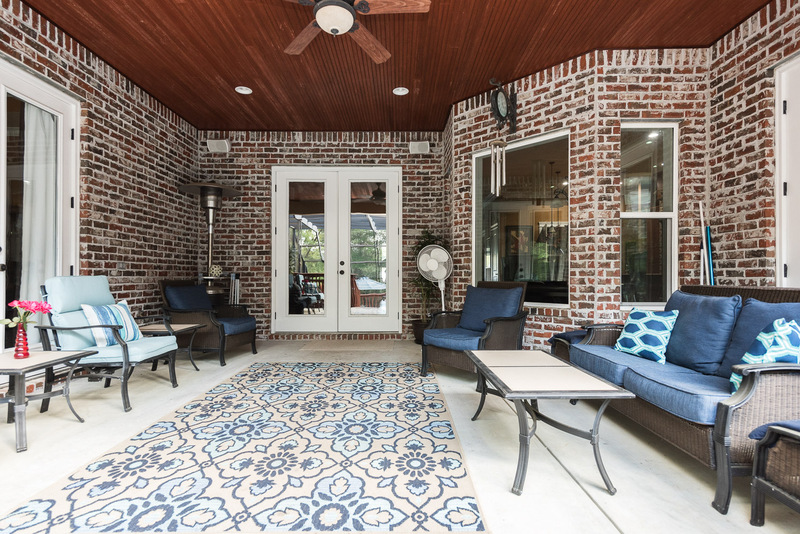 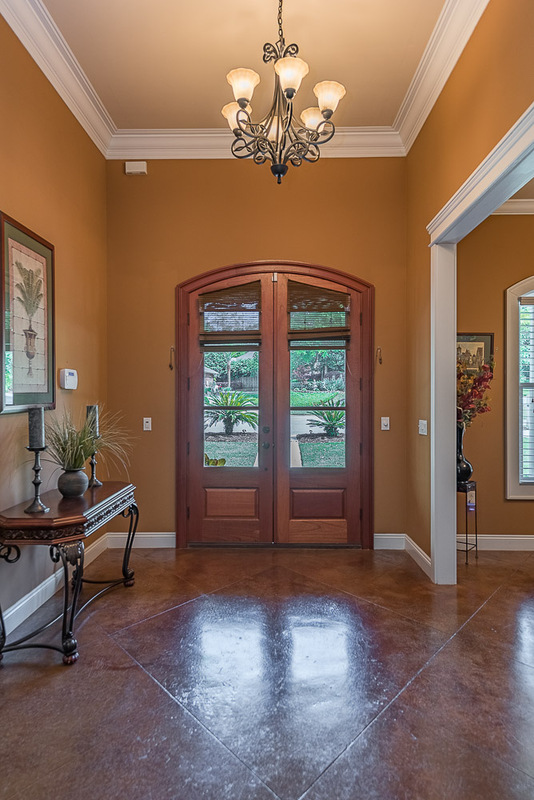 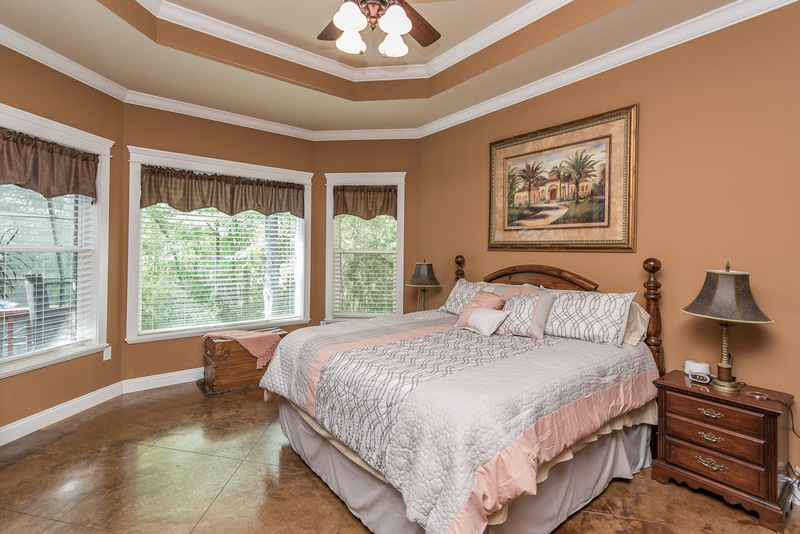 When you walk in, you are greeted with stained and stamped concrete floors, 10' - 12' tall ceilings, and triple crown molding / backlit plant ledges. 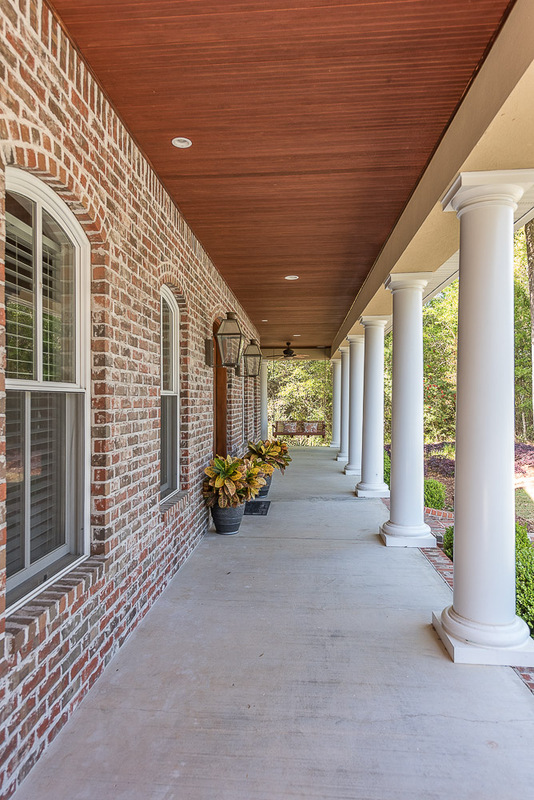 The built-in sound system has independent volume controls and is available throughout common areas, as well as front & back porch. 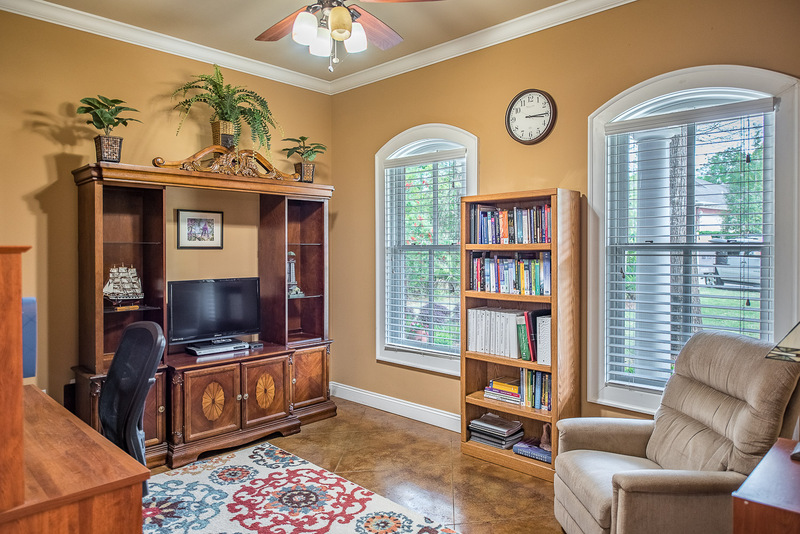 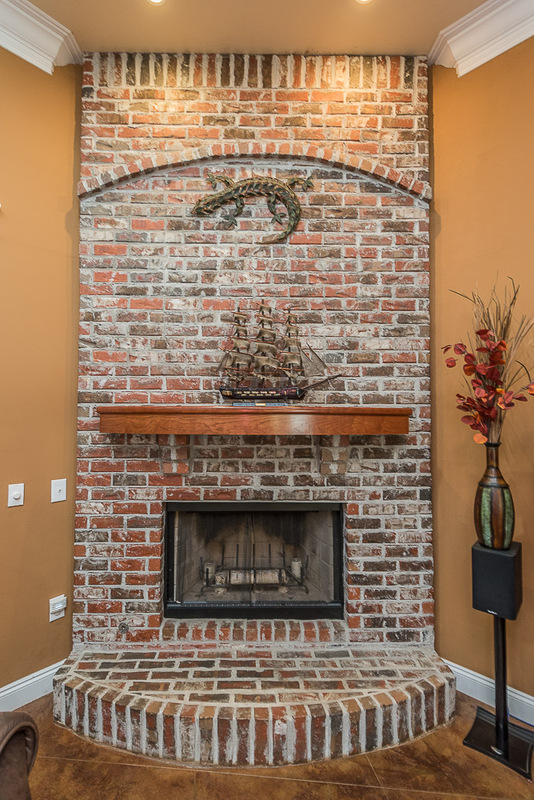 The great room features a custom brick fireplace, picture windows and French doors that flood the room with natural light and open up to the covered porch. 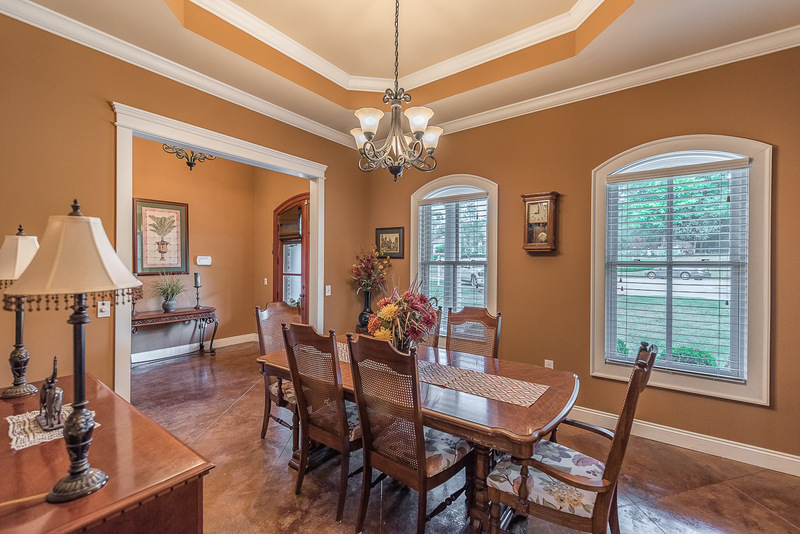 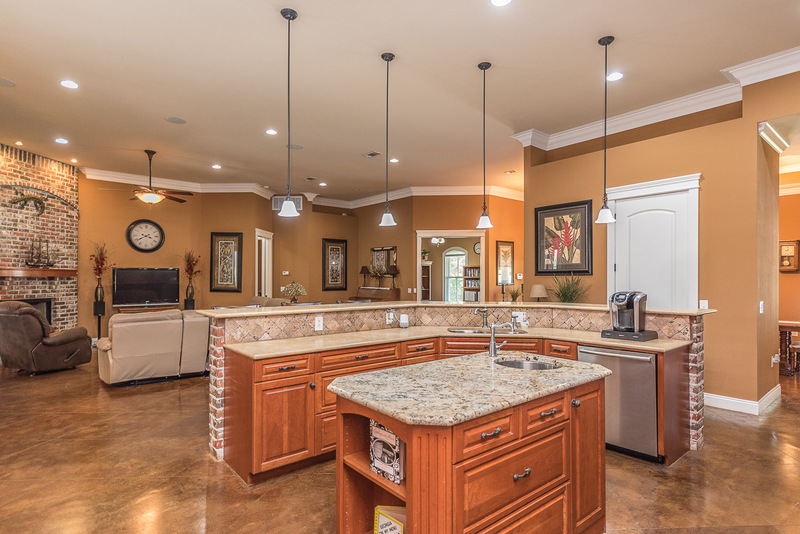 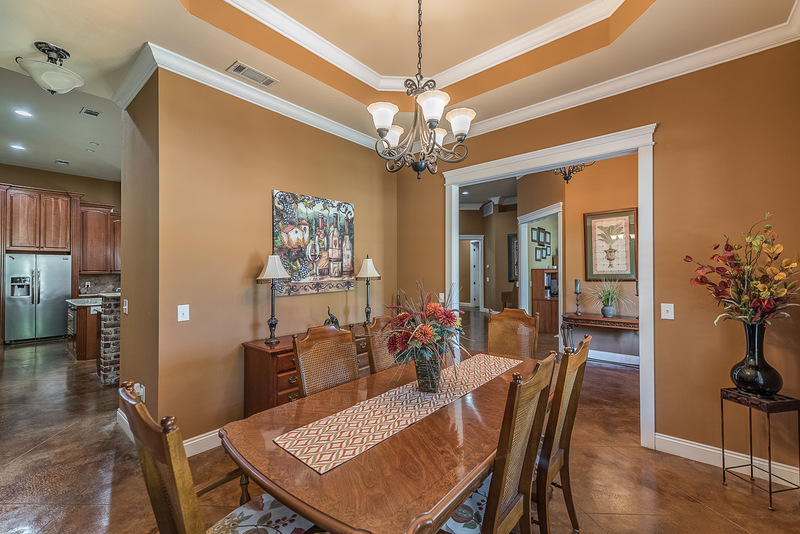 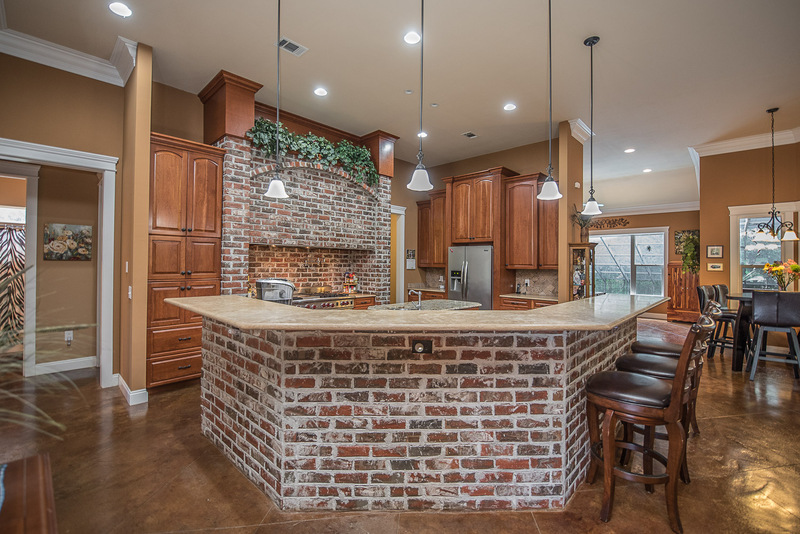 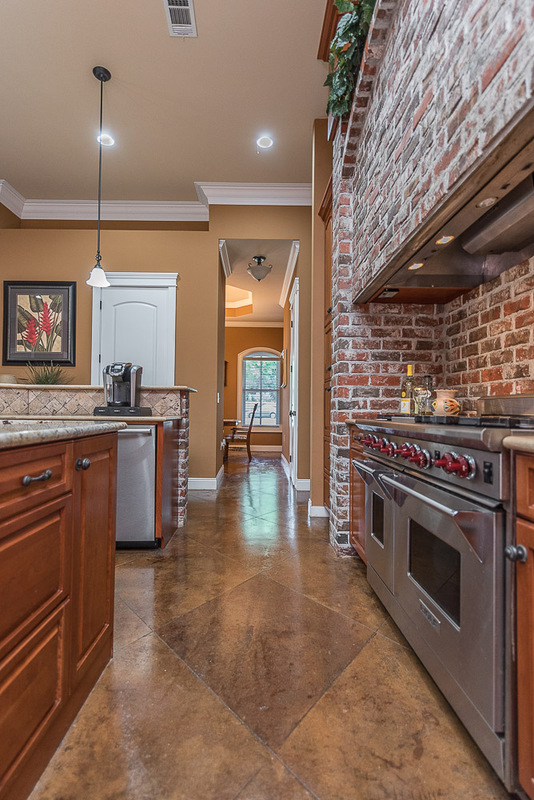 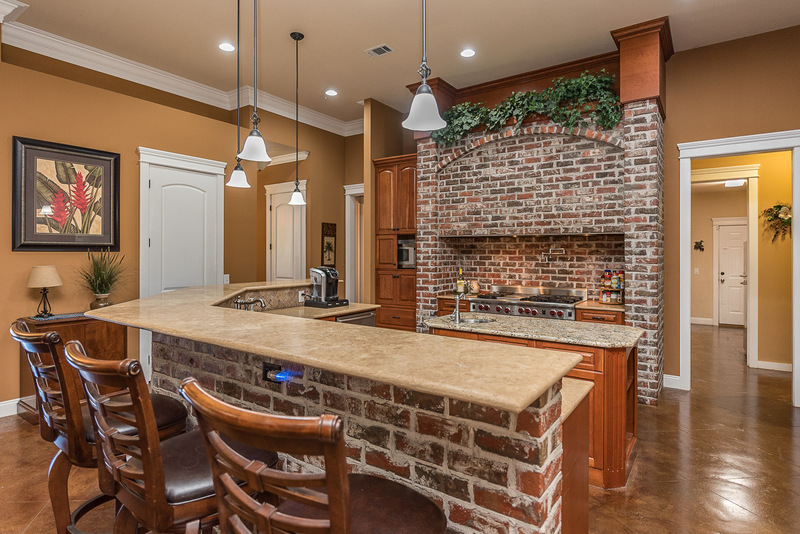 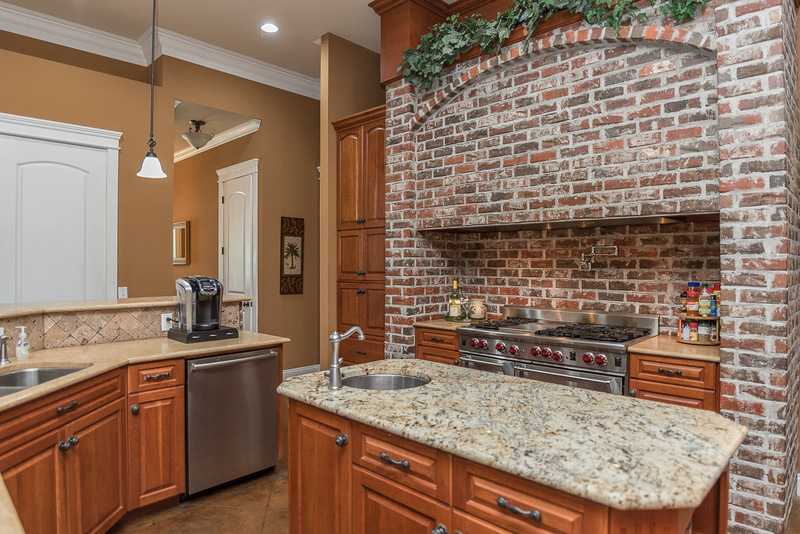 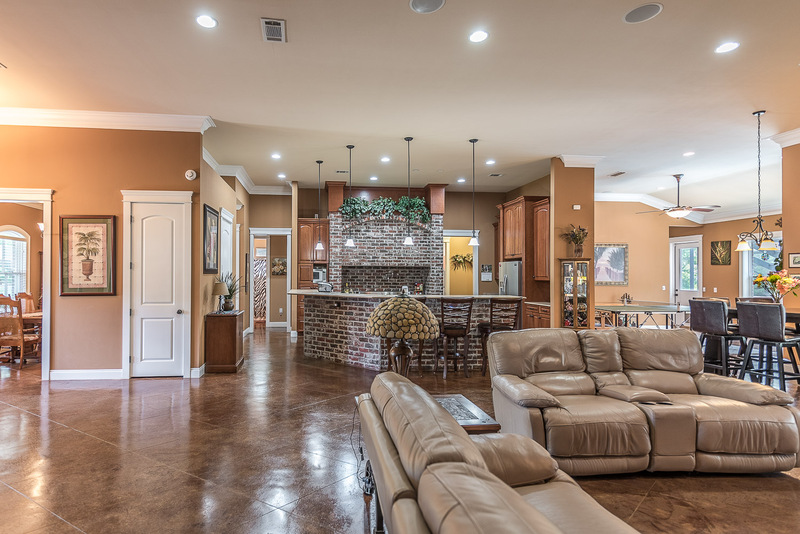 The same brick in the great room is mimicked in the kitchen above the stove and on the front of the breakfast bar. 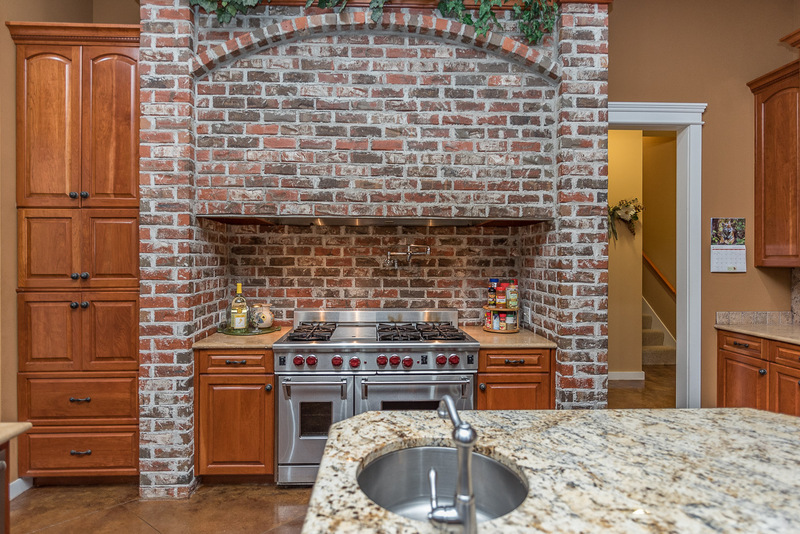 The highlight of the kitchen is the 48" WOLF commercial gas stainless steel stove with 6 burners, grill, double ovens, and a pot-filler (perfect for the master chef or beginner). 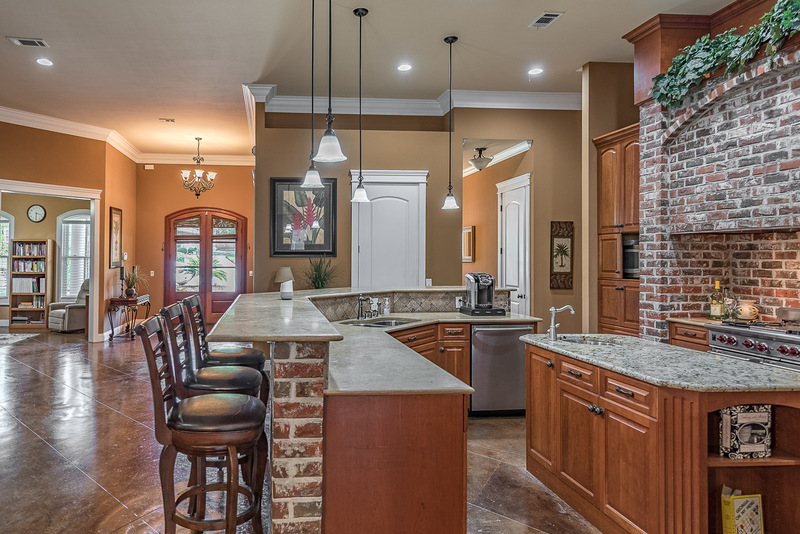 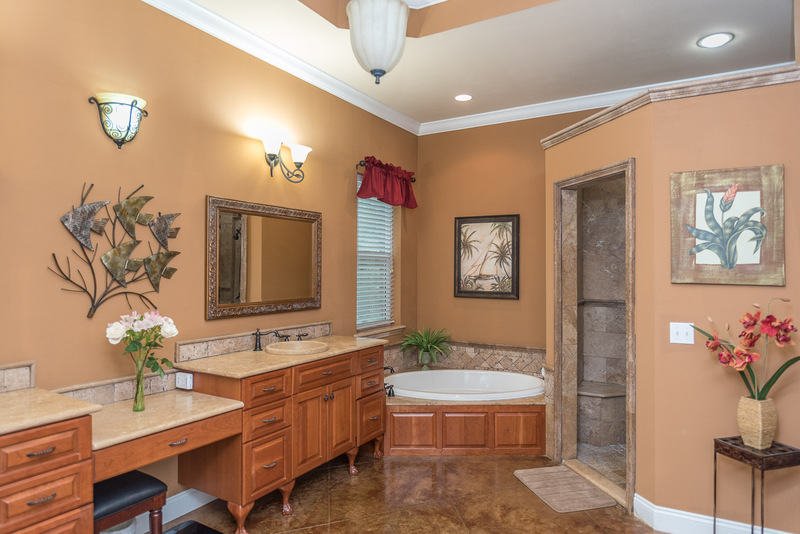 Additional features are custom wood cabinets with pot drawers, under cabinet lighting, stone and granite countertops, large breakfast bar, pendant lighting, and an island with s/s sink. 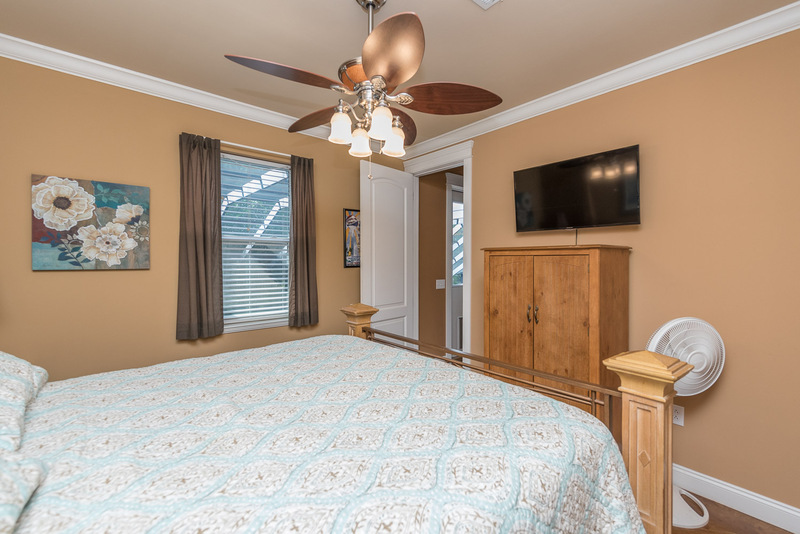 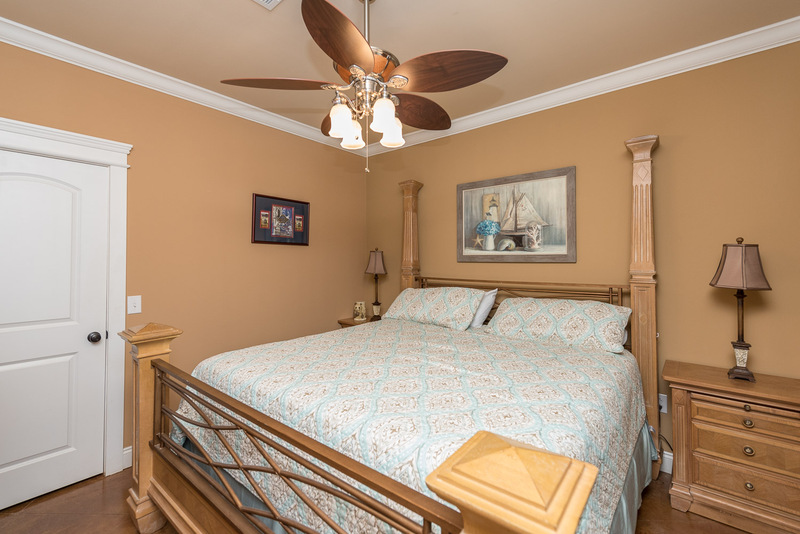 The master bed room has a spa-like ensuite (with its own water-heater!) 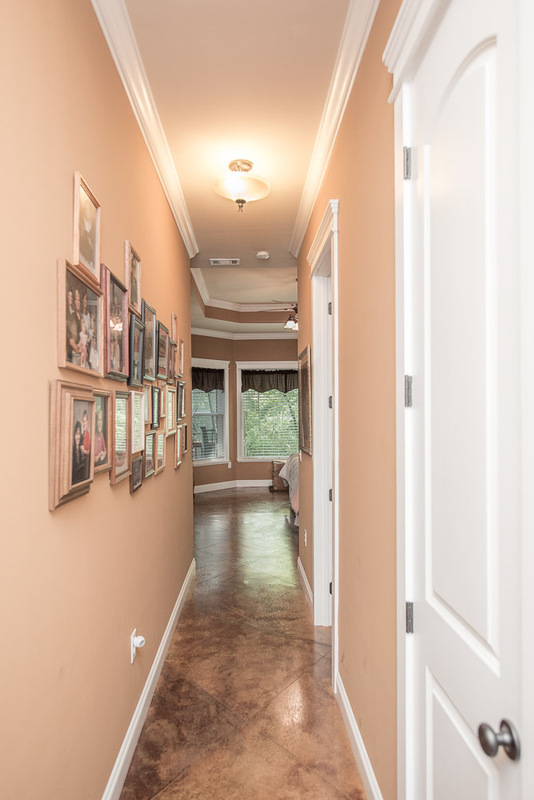 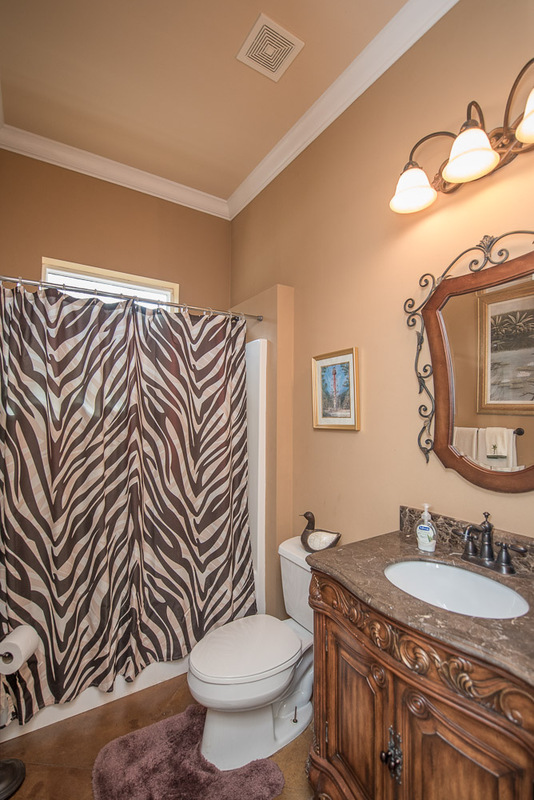 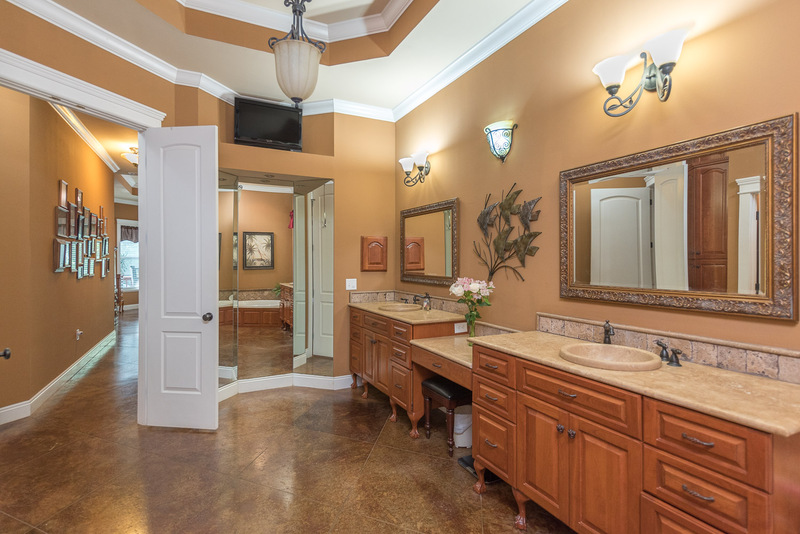 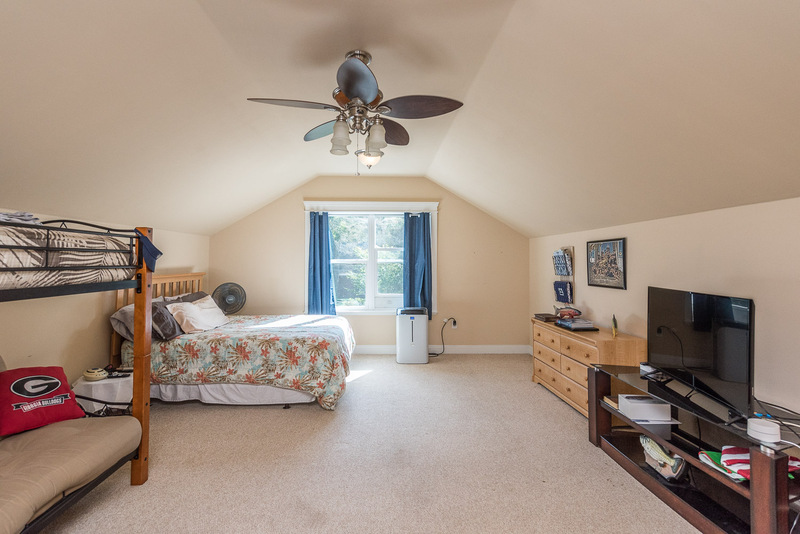 and walk-in closet, and is situated on the opposite side of the house from the other 3 bedrooms. 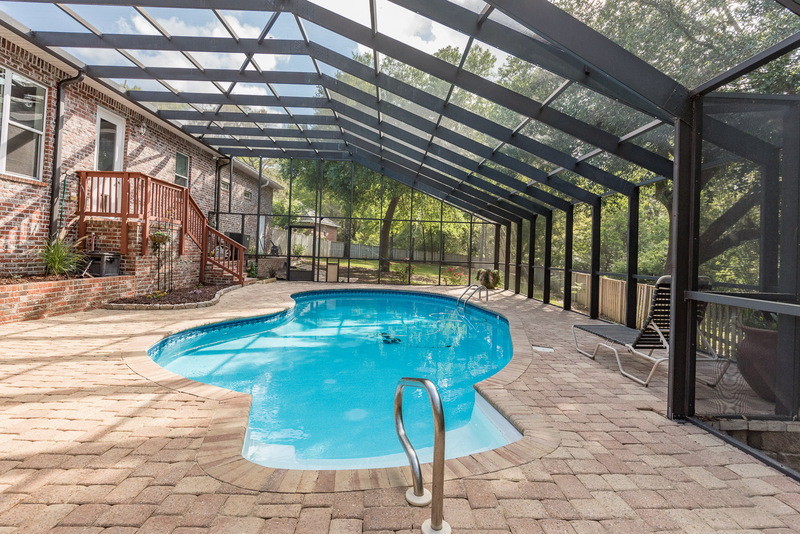 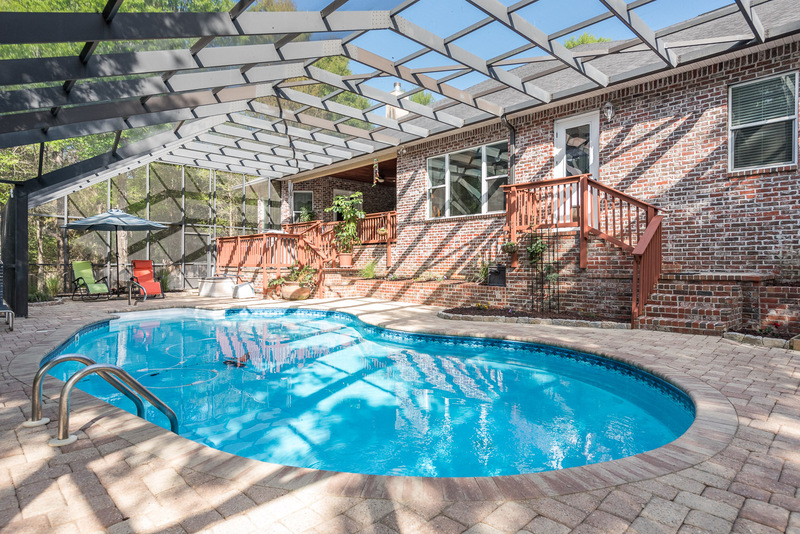 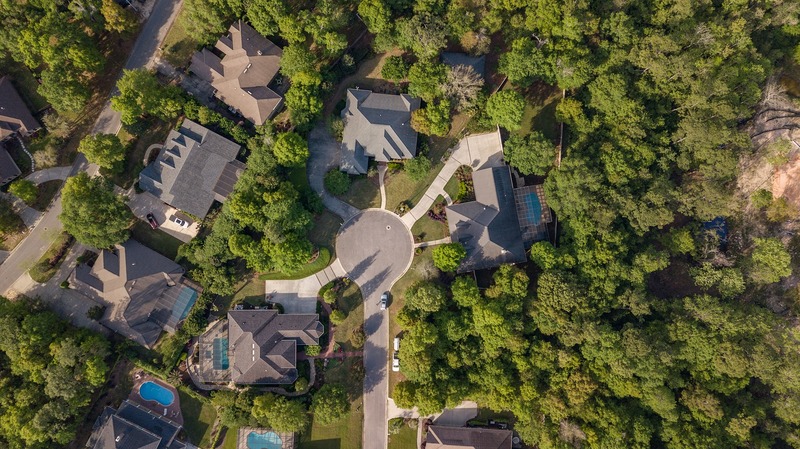 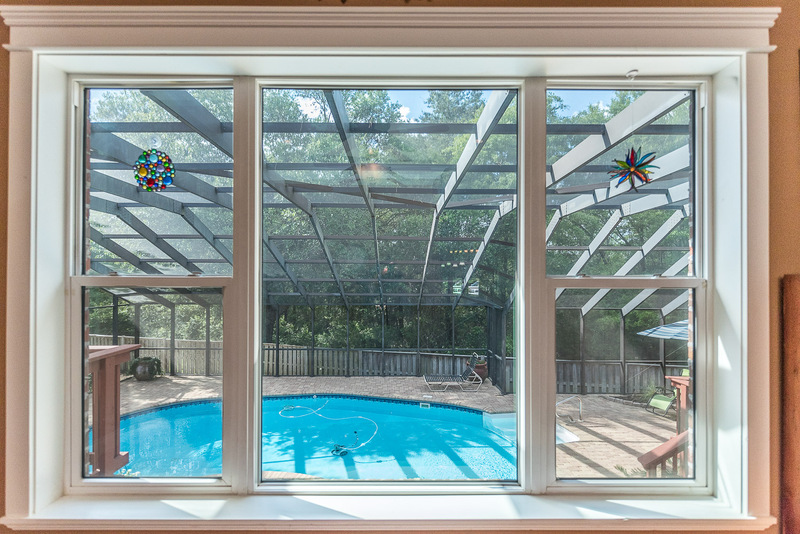 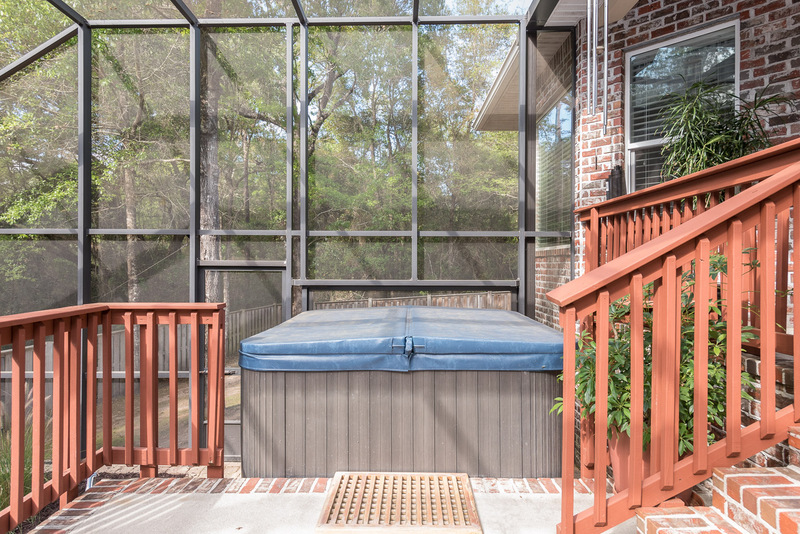 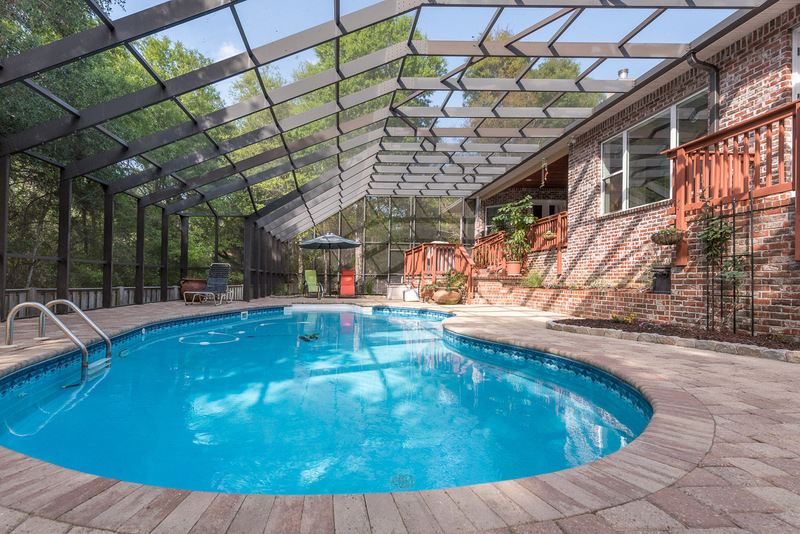 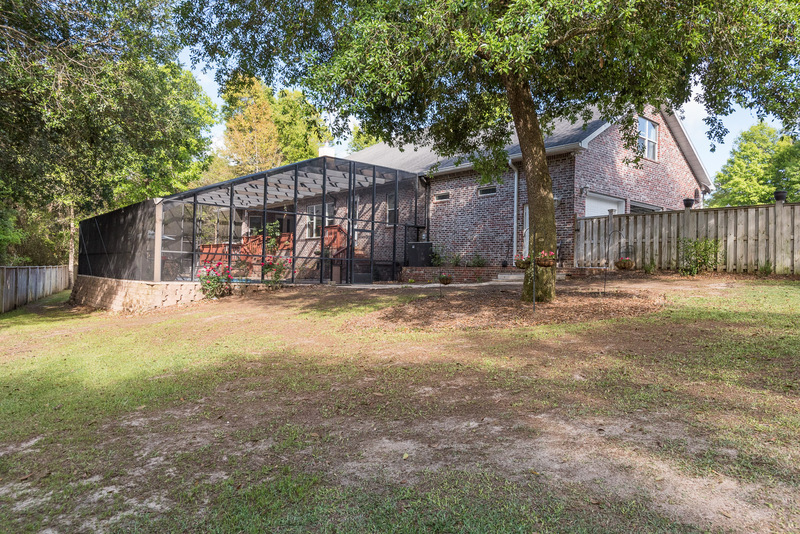 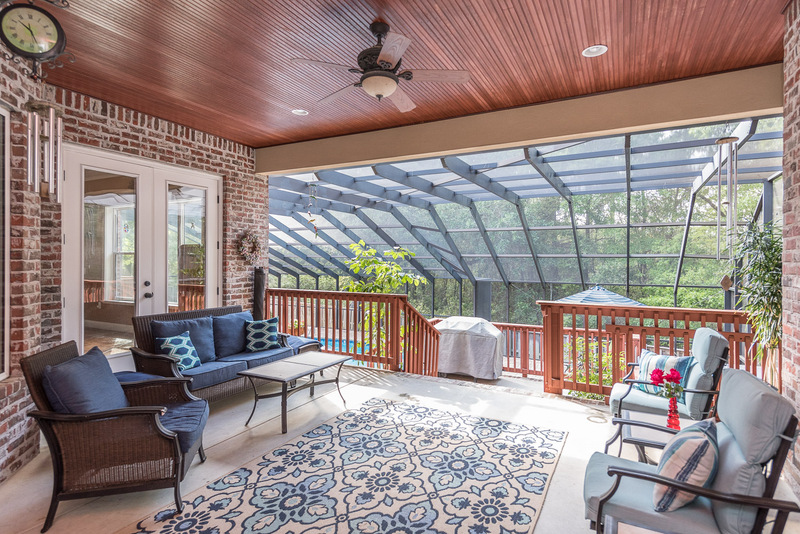 The tremendous backyard has a caged pool with child safety features, a covered porch perfect for grilling, and plenty of yard space on over half an acre lot to run and play.